Demand for fuel oil is under threat: media are paying growing attention to the upcoming new emissions standards introduced by the International Maritime Organization, to take effect from January 1, 2020, and fuel oil—the high-sulfur residual product after processing oil into light fractions and middle distillates—is the biggest victim. Two recent headlines tell us that Trafigura and BP Singapore have merged their fuel oil and gasoil trading desks ahead of the 2020 deadline, which will ban all bunkering fuel with sulfur content of more than 0.5 percent unless the vessel has a scrubber—equipment that strips sulfur emissions from the fuel. Traders are clearly preparing for a huge slump in fuel oil demand and so are refiners. But, interestingly, they are not turning their backs on fuel oil completely. Reuters recently polled 33 refiners on their IMO 2020 plans and found that although as much as 40 percent planned to stop producing high-sulfur fuel oil, the rest had no plans to suspend production despite the expected drop in demand. Instead, they were upgrading their refineries to further process the residual petroleum product into more gasoline and diesel, and also banking on stable demand from the power generation sector: when fuel oil becomes cheap enough, it serves as an alternative to coal. The number of vessels that are having sulfur scrubbers installed is growing, Reuters reports, although not particularly quickly. Most of the refiners that plan to invest in upgrading their facilities for secondary fuel oil processing don’t plan to spend too much on this: 66 percent of the 16 Reuters survey respondents that said they will upgrade, but would spend less than $100 million on this. This frugality is understandable but questionable: in a recent commentary, Wood Mackenzie’s Alan, Gelder, VP for Refining, Chemicals & Oil Markets, calculated that the IMO 2020 rules will spur enough demand for middle distillates and low-sulfur fuel oil, with the spread between high-sulfur fuel oil and middle distillate swelling from US$25 a barrel to as much as US$100 a barrel. According to Wood Mac, the IMO 2020 regulations will eliminate demand for around 2 million barrels of high-sulfur fuel oil daily. That’s two-thirds of what the maritime transport sector consumes currently. These displaced barrels of high-sulfur fuel could be processed into lighter fuels, Gelder said, but prices will have to fall enough to make this secondary processing economical: one more reason why refiners are in no rush to upgrade their refineries to process the fuel. 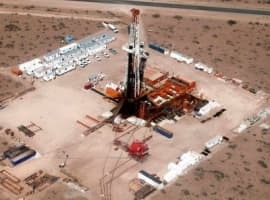 There also another reason: the markets where high-sulfur fuel oil can replace coal for power generation: S&P Platts analyst recently said that there is a limited number of markets where this can take place, including the Middle East, ASEAN, and Mexico. Sure, ASEAN is a large enough market to absorb two million bpd of fuel oil alone, but again, it needs to become a lot cheaper than it is now. But despite their caution, refiners are signaling that they would like to retain—or expand—their flexibility. One Indian refiner told Reuters they would use fuel oil to produce bitumen, a very in-demand product in India, which is building a lot of roads. Others will keep their options open, producing both low-sulfur and high-sulfur fuel oil, depending on demand. In short, refiners are getting ready for a major market change, helped by stronger crude prices.